The hard-touring Psychedelic Furs are heading back out on the road in the U.S. this month for a 14-date spring trek that will be followed by a 22-date North American tour this summer in which Richard Butler and Co. will share the bill with James. The Furs’ spring tour opens April 19 and is unusually heavy on Florida dates, with seven in all, and also includes four stops in Texas, two in Missouri and one in Oklahoma. Then, come July 5, the band will be back on tour, beginning in Canada, on a co-headlining trek with James. The Tim Booth-fronted band hasn’t played in the U.S. since a one-off New York concert in 2014 and hasn’t mounted a North American tour since playing the Coachella festival in 2012. 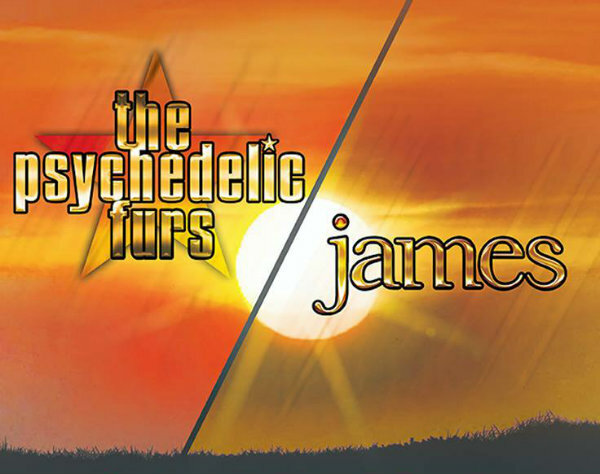 See ticket on-sale details on both bands’ websites: thepsychedelicfurs.com and wearejames.com. Oh c’mon. How about July 25th in Minneapolis? July 24 at the zoo! Will James consider any Florida shows!? ?